Get professionally crafted workouts directly on your handlebars! 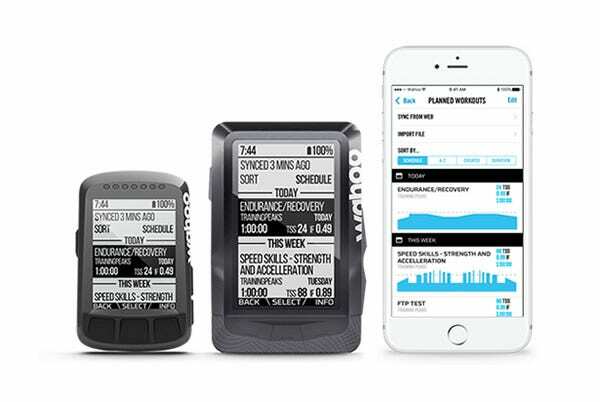 Every ELEMNT and ELEMNT BOLT purchased comes with a free 1 month trial of TrainingPeaks Premium. Your goals are a big deal. We are here to help you achieve them. 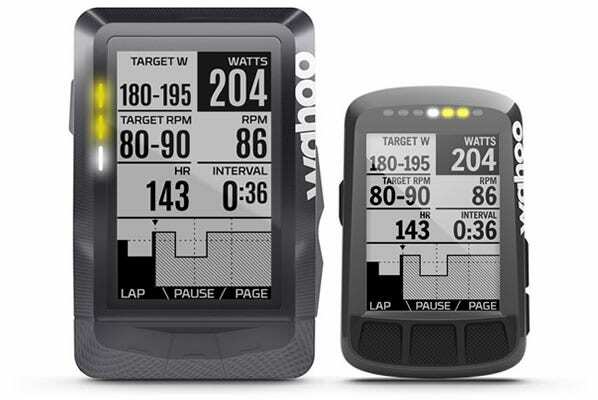 Wahoo products are designed to maximize your training time while capturing invaluable data for TrainingPeaks to analyze and provide immediate feedback. Following this deliberate training will help you improve and reach your loftiest goals. 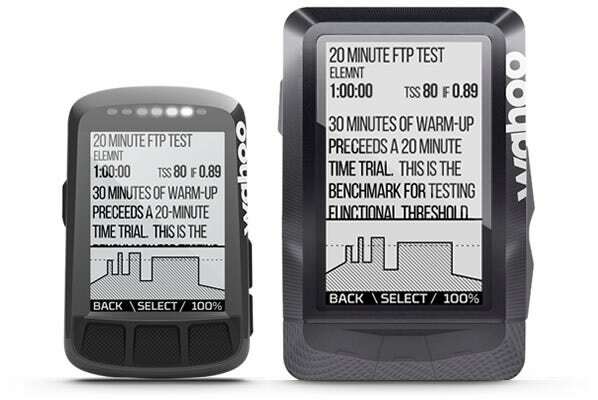 ELEMNT comes pre-loaded with 2 FTP Tests and 3 workouts designed by Team Sky Coaches. Authenticate TrainingPeaks to automatically sync the next 5 days and last 2 days of planned workouts to your ELEMNT workout library so you are ready to train! A graphing feature plots your workout progress and primary workout target and LED notifications give real-time feedback on if you are on target or not. Secondary targets can also be displayed if included in your workout file. Pop-up notifications and LEDs provide critical alerts to count you down before a new interval begins, an interval start and if you are ahead or behind your target. To accommodate for outdoor workout conditions you have the flexibility to start, stop, pause, and skip any interval at any time so every second of your workout is captured the way you want. 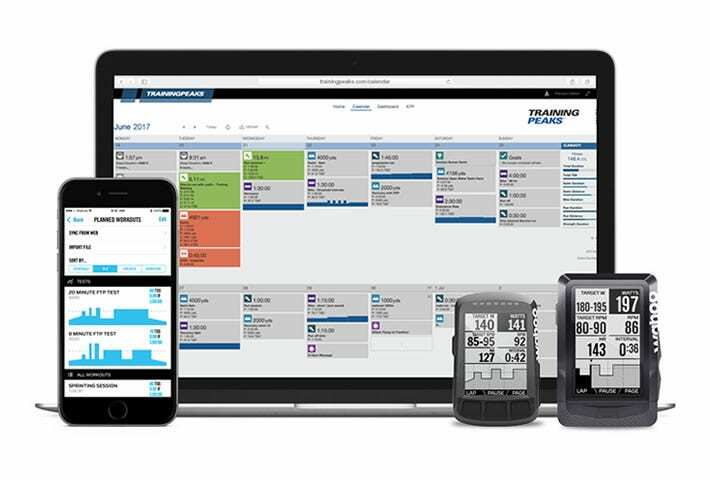 Post-workout your data automatically sync with your TrainingPeaks account, giving you and your coaches easy access to all your workout data! With all completed workouts in one place, keeping track of your training is a breeze! Pair your ELEMNT with a Wahoo KICKR Power Trainer to ride planned workouts indoors. 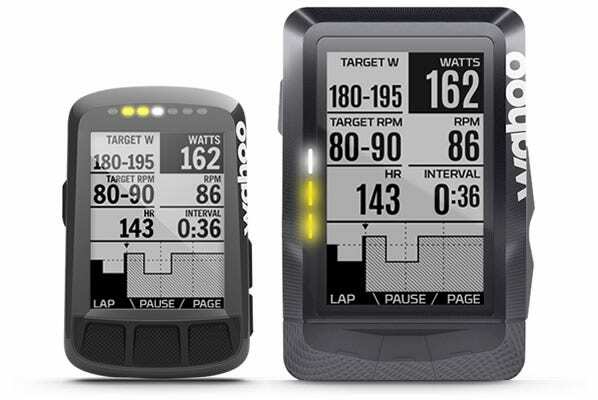 ELEMNT will set the KICKR to your target power wattage and will maintain resistance regardless of speed. 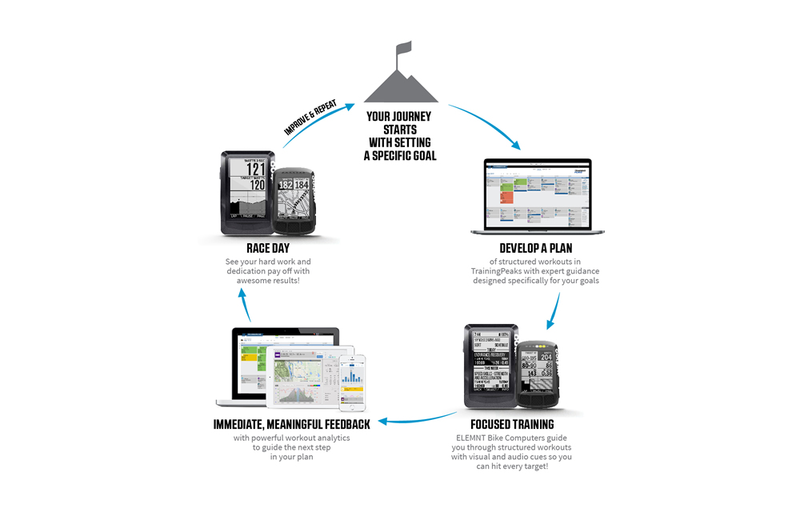 Register your Wahoo ELEMNT or ELEMNT GPS in the Companion App (iOS or Android) by entering your email address in order to receive your free 30 days and training plan from TrainingPeaks. You will receive an email shortly after registration with instructions on how to redeem your free 30 days and get access to your 2 week training plan. Offer Terms and Conditions: Offer valid on any registered ELEMNT or ELEMNT BOLT GPS Bike Computer. To register, create an account or login in the Companion App when pairing your computer. Offer is for a free 30 day trial of TrainingPeaks, which includes a 2 week training plan. Offer is valid for new and existing TrainingPeaks users. For questions concerning TrainingPeaks, please visit help.trainingpeaks.com.